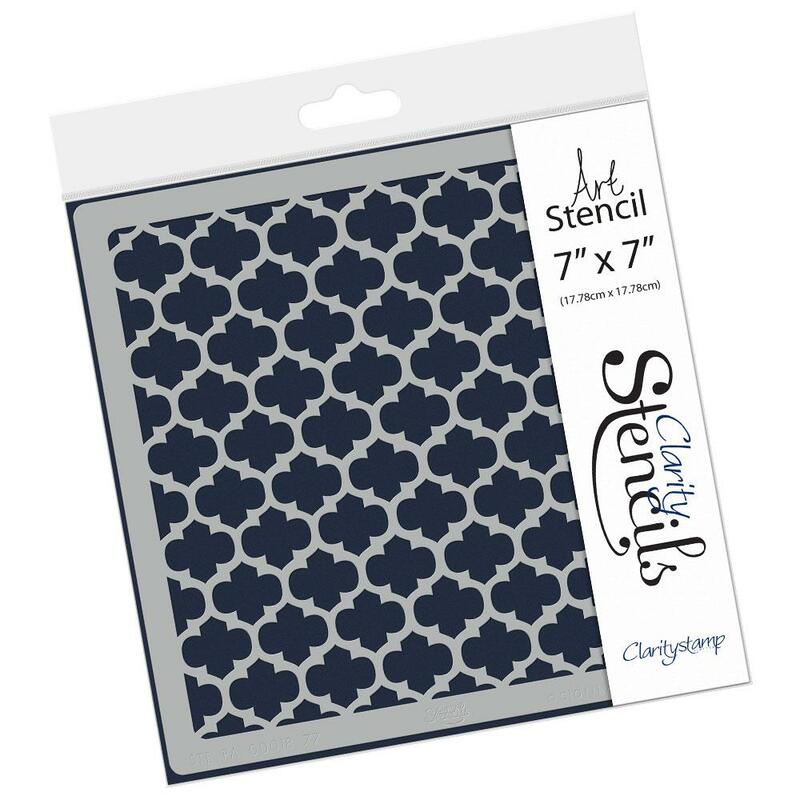 This stencil is one of our best sellers actually. A lot of people evidently like elephants! Here’s a delightful art sample made by another Barbara – Barbara Lancaster! And what a delightful piece of artwork this is! I LOVE the shrunkled baby elephant. That’s impressive. I remember visiting the Elephant Orphanage in Sri Lanka many moons ago; the little baby elephants were too cute. I also remember seeing many of the older elephants chained up and shackled. But hey. What do I know. Sanctuary? Refuge? Or tourist industry? Let’s take a look at how Barbara made this card. She has kindly written out the instructions for us too. 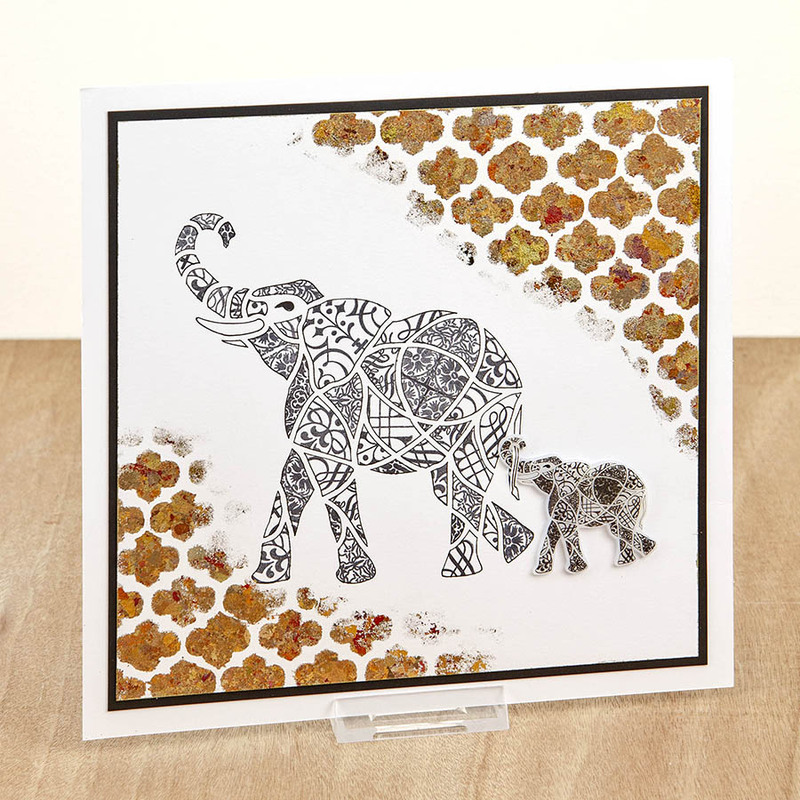 Place the Elephant stencil onto a piece of Stencil Card and trace around the design with a black Micron Pen. You need to make a separate copy paper mask for each different corner stamp you want to use. Decide which design is going in which area, taking time to plan their distribution around the elephant. Cut out the mask; you will need to cut out several areas for each design. 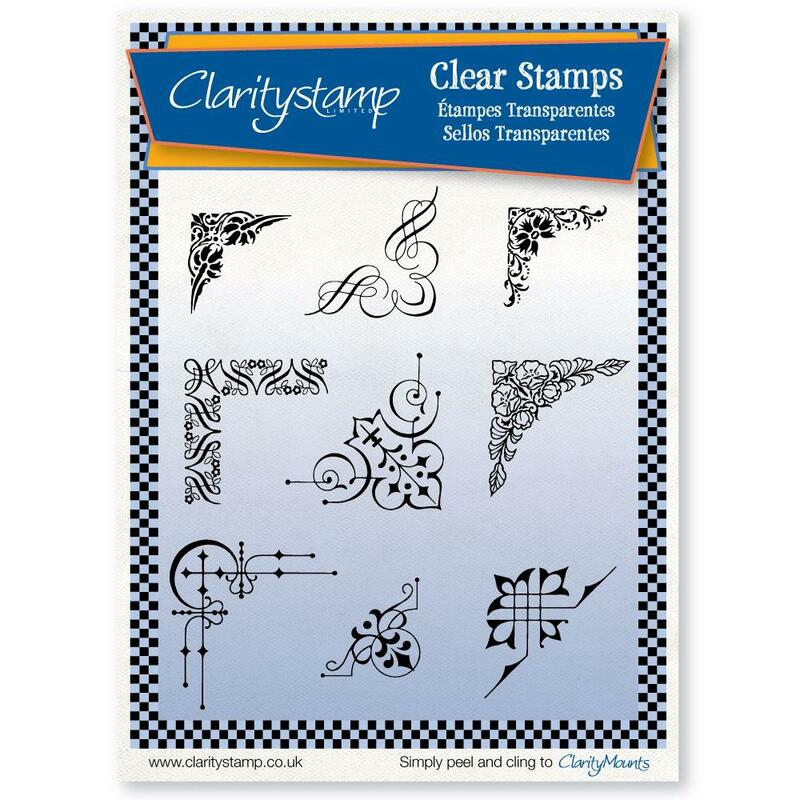 Choosing one corner stamp at a time, stamp through the masks in turn using black Archival Ink. Position the Trellis stencil in the top-right and bottom-left of the design. Then sponge through some glitter glue, fading it toward the centre. The glue will stay tacky until you apply gilding flakes. Buff away the excess. 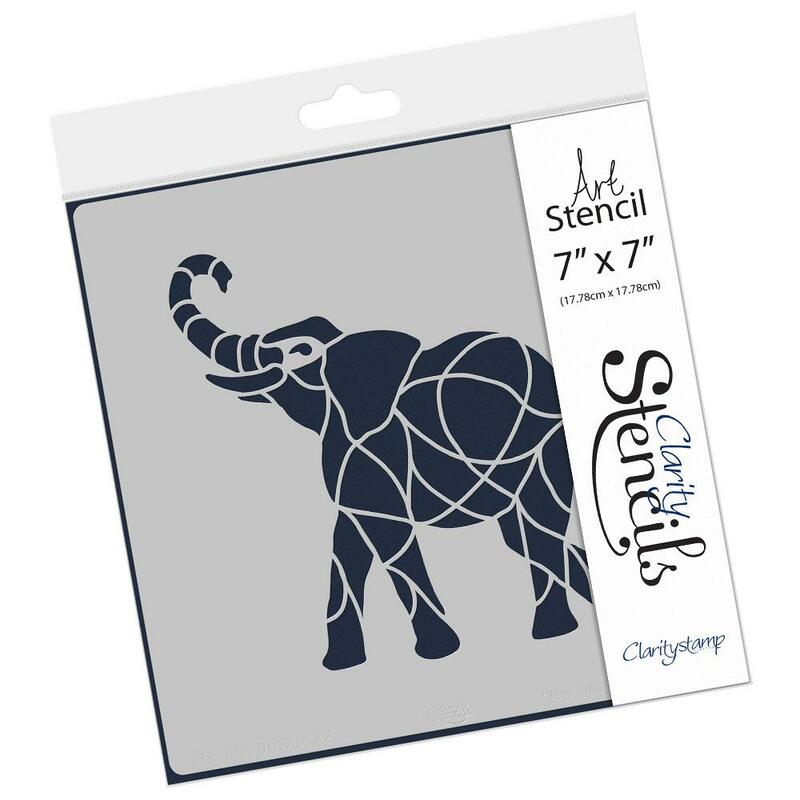 Make another elephant in the same way as the first, but use Shrink Plastic this time. Cut out and heat gently with a heat gun until fully shrunk down. A mount is perfect for flattening it while it’s still warm. Use a blade to cut a slit each side of the big elephant’s tail, then thread through the little elephant’s trunk before gluing into place. Then mat onto a piece of black card and mount onto a card blank to finish. All 4 products of the month are still available at a super, knocked back January price until 31st. Click HERE to investigate. I am in awe of Barbara Lancaster’s ideas. Love her style and can usually spot one of her pieces. Thanks for sharing. Love it, love it, love it. I want to try this for my great-granddaughter’s birthday card. Hope you are feeling better today, take care of yourself. I’ve had this stencil for ages and have used it a few times, would never think to use corner stamps on it. What a brilliant idea. How cute is the shrink plastic one too. I must remember this for men’s cards. Hope you are feeling better today. I got so excited at the thought of the new King plates, after I read the news, that I totally forgot to read your blog. The shame, especially as you never forget us. Sorry Barb! I have never done this sort of crafting and have resisted starting anything else new, but this is lovely and I do admire the talent. The elephant is stunning. This is on my “to do” list. Planning it for my husband’s birthday. We met in Livingstone, Zambia and would often watch the elephants swimming across the Zambezi between Zimbabwe and Zambia. A magical memory.